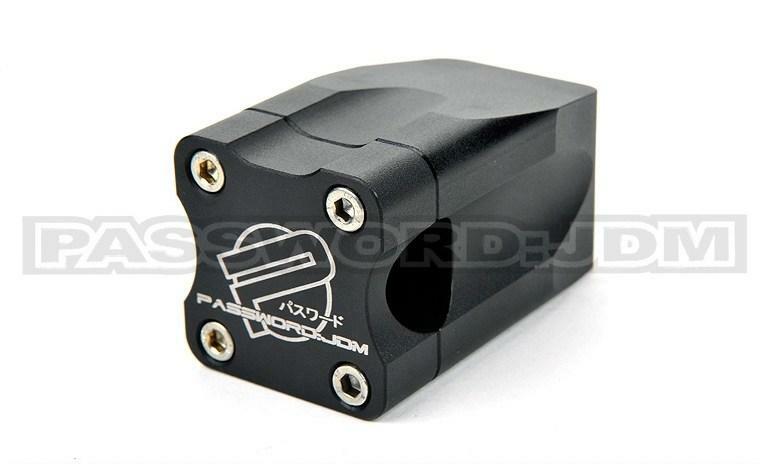 Password JDM Zoomer/Ruckus Handlebar Stem HONDA - Dezod Motorsports Inc - Home of the automotive performance enthusiast since 2002. What makes our stem different from all the others? Where is the steering tube? Say goodbye to home made hacks and shim kits to get your BMX style stem to fit, the Password:JDM Solid Billet Aluminum Steering Stem is a direct swap for the stock handlebar. Each one of our stems is CNC machined, bead blasted for a textured look, and black anodized finished.